best known for his piano works based on folk music idioms (many of which have been transcribed by others for guitar). Born in Camprodon, province of Girona, to Ángel Albéniz (a customs official) and his wife Dolors Pascual, Albéniz was a child prodigy who first performed at the age of four. At age seven, after apparently taking lessons from Antoine François Marmontel, he passed the entrance examination for piano at the Paris Conservatoire, but he was refused admission because he was believed to be too young. His concert career began at the young age of nine when his father toured both Isaac and his sister, Clementina, throughout northern Spain. By the time he had reached 12, he had made many attempts to run away from home. A popular myth is that at the age of 12 Albéniz stowed away in a ship bound for Buenos Aires. He then made his way via Cuba to the United States, giving concerts in New York and San Francisco and then travelled to Liverpool, London and Leipzig. By age 15, he had already given concerts worldwide. This over-dramatized story is not entirely true. Albéniz did travel the world as a performer, however he was accompanied by his father. As a customs agent he was required to travel frequently. After a juxtaposition of Isaac's concert dates, on his alleged adventure, and his father's travel itinerary it is apparent that they were traveling together. After a short stay at the Leipzig Conservatory, in 1876 he went to study in Brussels. 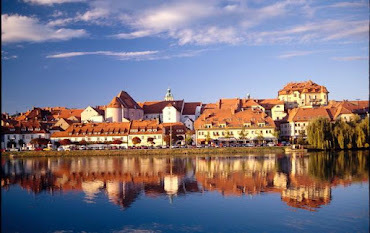 In 1880, he went to Budapest to study with Franz Liszt, only to find out that Liszt was in Weimar, Germany. In 1883, he met the teacher and composer Felip Pedrell, who inspired him to write Spanish music such as the Chants d'Espagne. The first movement (Prelude) of that suite, later retitled after the composer's death as Asturias (Leyenda), is probably most famous today as part of the classical guitar repertoire, even though it was originally composed for piano and only later transcribed. (Many of Albéniz's other compositions were also transcribed for guitar, notably by Francisco Tárrega). At the 1888 Universal Exposition in Barcelona, the piano manufacturer Erard sponsored a series of 20 concerts featuring Albéniz's music. The apex of his concert career is considered to be 1889 to 1892 when he had concert tours throughout Europe. 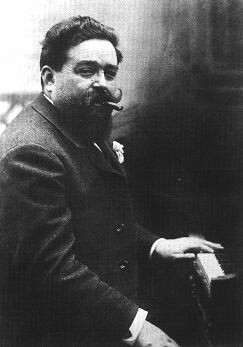 During the 1890s Albéniz lived in London and Paris. For London he wrote some musical comedies which brought him to the attention of the wealthy Francis Money-Coutts, 5th Baron Latymer. Money-Coutts commissioned and provided him with librettos for the opera Henry Clifford and for a projected trilogy of Arthurian operas. The first of these, Merlin (1898–1902) was thought to have been lost, but has recently been reconstructed and performed;. Albéniz never completed Lancelot (only the first act is finished, as a vocal and piano score), and he never began Guinevere, the final part. In 1883, the composer married his student Rosina Jordana. They had three children, Blanca (who died in 1886), Laura (a painter), and Alfonso (who played for Real Madrid in the early 1900s before embarking on a career as a diplomat). Two other children died in infancy. Albéniz died on 18 May 1909 at age 48 in Cambo-les-Bains of Bright's disease, and is buried at the Montjuïc Cemetery, Barcelona. Alberto Ruiz-Gallardón, current mayor of Madrid, and Cécilia Attias, the former wife of French president Nicolas Sarkozy, are two of Isaac Albéniz's great-grandchildren. Buried in Cemetery de Montjuïc, Barcelona.